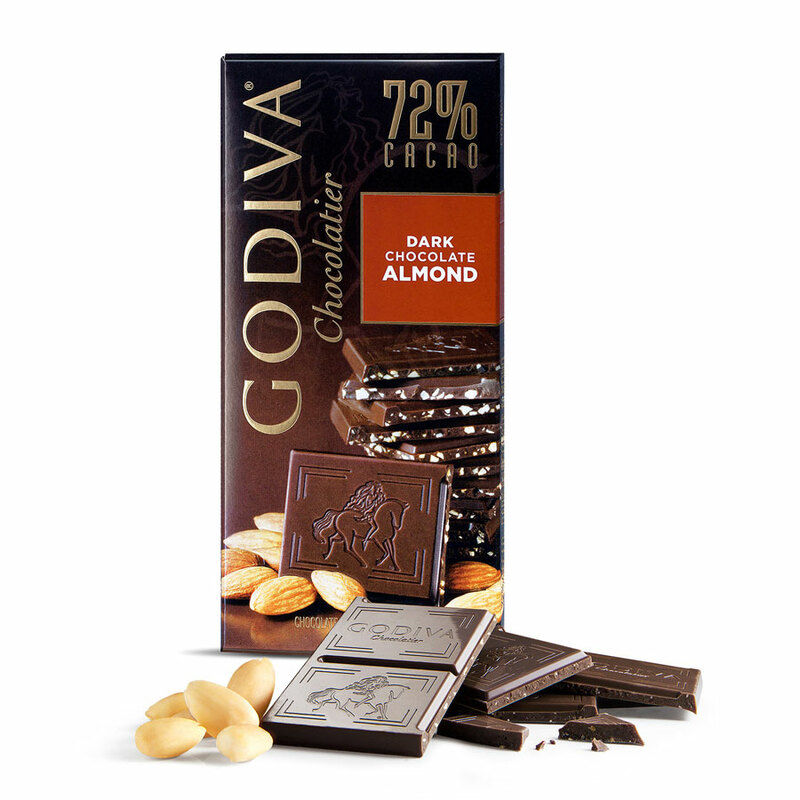 Crunchy roasted almond pieces in rich dark chocolate made with 72% cacao. 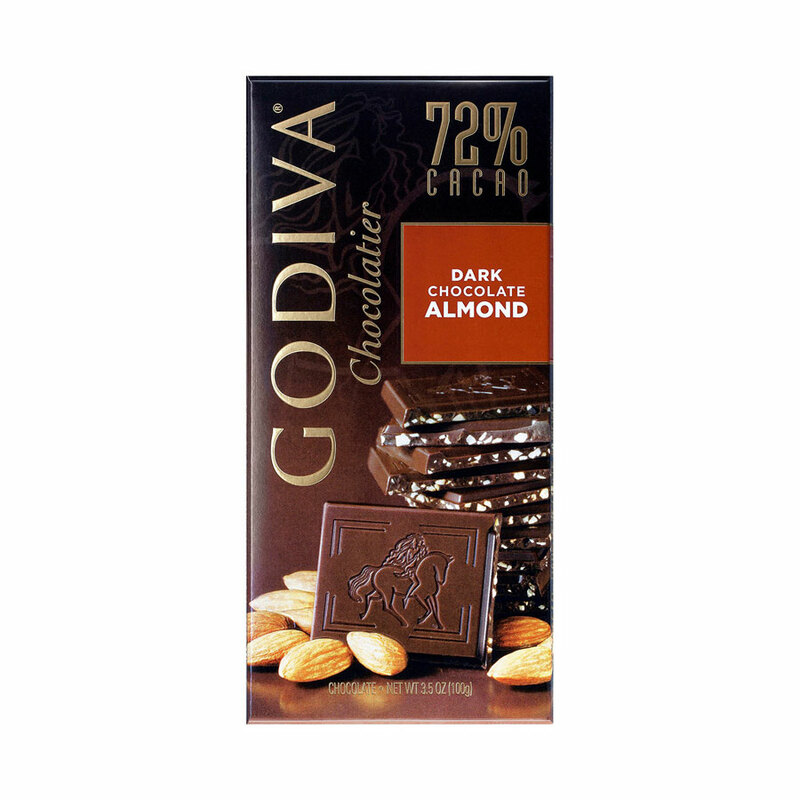 A lovely contrast of texture and nutty flavour complementing the balanced smoothness of the dark chocolate; for those who live life on the wild side. 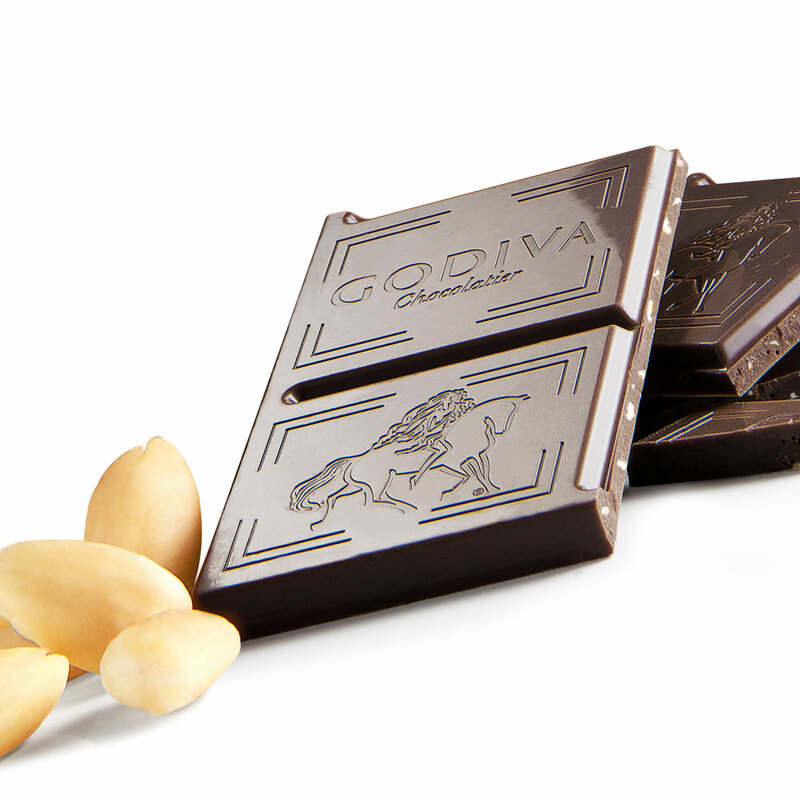 Godiva tablets are large enough to share – or to keep as a special treat all for yourself.